Miller Eccles Study Group Texas is excited to announce that our August 2013 speaker will be Margaret Blair Young, creative writing professor at Brigham Young University and president of the Association for Mormon Letters. Saturday, August 3, 7 pm. In this presentation, Margaret will tell the story of Jane Manning James and other black pioneers, and discuss how their experiences can help inspire those who are experiencing or have experienced a crisis of faith. She will also discuss her current film project: “Heart of Africa”. 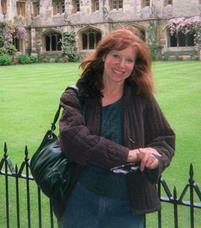 Margaret Blair Young teaches literature and creative writing at Brigham Young University. For the past fifteen years, she has specialized in the history of blacks in the west, particularly black Mormons. She has written six novels and two short story collections, but has lately become interested in filmmaking. Her current endeavor is a film to be shot in Zambia called Heart of Africa (www.heartofafricafilm.com). She has held her daughter for hours during her panic attacks and she attends LDS Addiction Recovery meetings with her son. Miller Eccles Study Group Texas was pleased to host Matthew Bowman on July 13, 2013 at study group meetings in both Arlington and McKinney, and at a fireside in Irving on July 14, 2013. 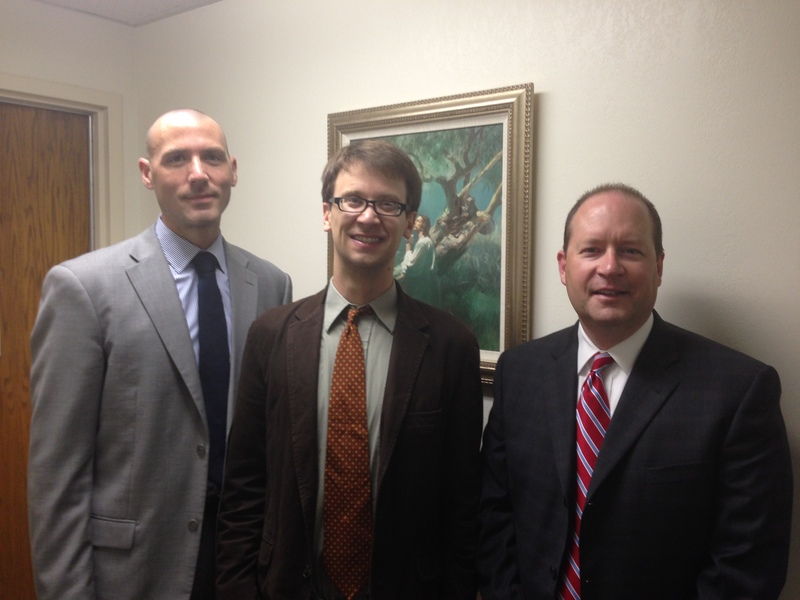 Matt’s study group topic was “Zion: the Progressive Roots of Mormon Correlation”. The fireside topic was “This Is My Body: Thinking about the Sacrament”. 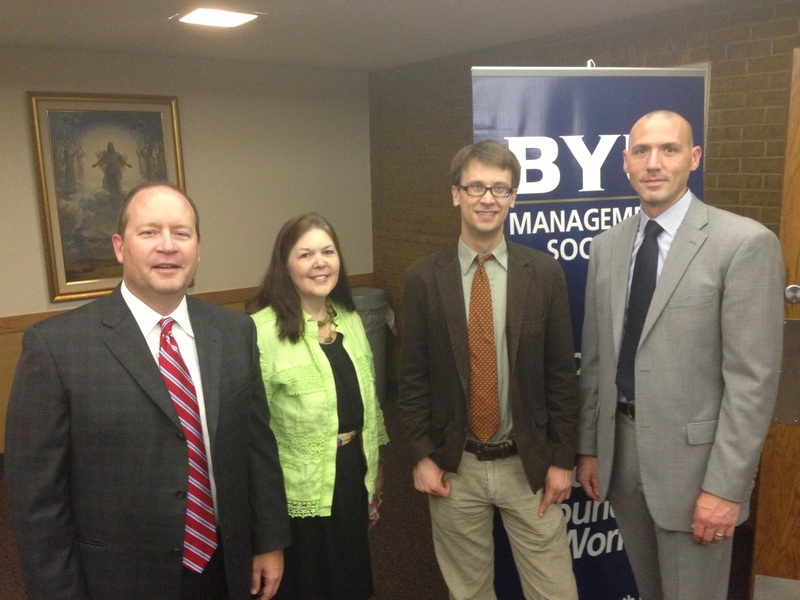 Cris Baird, Lisa Earl, Matt Bowman, and Adam Miller after fireside presentation in Irving, Texas, on July 14, 2013. Adam Miller, Matt Bowman, and Cris Baird, at fireside in Irving on July 14, 2013.